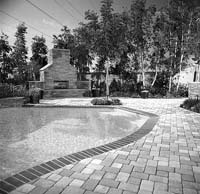 Paver Plus, Inc. - Who the professionals call to get the job done right! Pavers, Masonry, Design, and More! From simple to simply exquisite: The possibilities are endless. 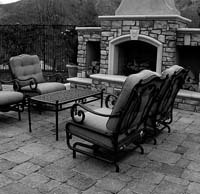 Our valued customers do not have the same needs when creating the perfect outdoor environment. And that is why we offer a full boutique of Hardscaping services to meet you particular needs. 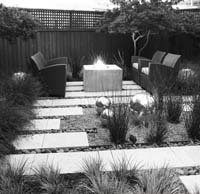 These services include retaining walls , pavers , and artificial grass. Welcome to your solution. Welcome to Pavers Plus. 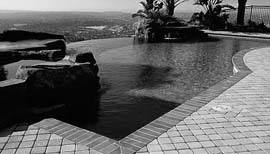 From a single garden to a full blown living space with a pool, patio, and fireplace, we are anxious to "Make Your Vision Reality." Locally owned, we proudly serve the Great State of California with the BEST in paving, masonry, and design. Twenty Five Years of Excellence! Using the best materials along with years-old, time-tested craftmanship, Paver Plus, Inc. provides you with a beautiful environment. Compliment the value of your home or business with the immaculate masonry work of Pavers Plus, Inc. See how we stand out from the rest! Our CADD design capabilities provide our customers with an extensive number of possibilities to customize their desired home style and looks. 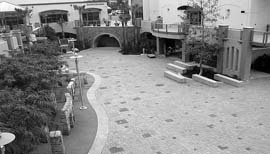 Paver Plus, Inc. will take care of your project from the conceptual design stage to the completed finish product without using ANY subcontractors. Whether you're just beginning to plan, starting from blueprints, or launching a remodel, Paver Plus, Inc. has you covered! Bringing craftsmanship back into today’s fast paced construction industry.No commercial job is too big or too small. We complete your project on time and within budget, providing innovative approaches to enhance durability, efficiency. Paver Plus, Inc. can provide you with the strongest experience in the industry and the most competitive prices by eliminating the middleman. Our designs, engineering and installations are all in house therefore, NO SUB-CONTRACTING in any phase occurs. We currently hold a GENERAL ENGINEERING, CONTRACTING AND SPECIALTY licenses from the California State Contractors Board. 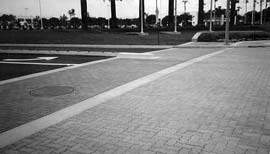 We are bonded, insured and a current member of The Interlocking Paving Association and The Master Builders Association. Our Happy Clients and Associates! Our projects have ranged from tiny patio in a mountain resort to a half million square foot area at the Port of Oakland. 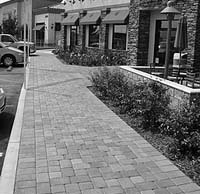 From residences and businesses, towns and cities throughout California, we've well established and earned our reputation for excellence in design, paving, and masonry services. All of who are standing ready to sing our praisies. Come check out our credentials and read about our great associates and vendors!